The Sketchbook Project is an OPTIONAL creative art sketchbook assignment for students this year in class. Each student can receive a small sketchbook that they will create, explore, and expand through the course of this school year. Based off an ongoing national sketchbook exhibition through Art House Co-Op, students will explore various themes each month.Every month you will be given an open-ended theme from which you will fill two pages of your sketchbook. You are encouraged to research, explore, experiment and think outside the box with this assignment. Materials and subject matter are up to the artist. Monthly themes will be posted here as well as helpful links for research. 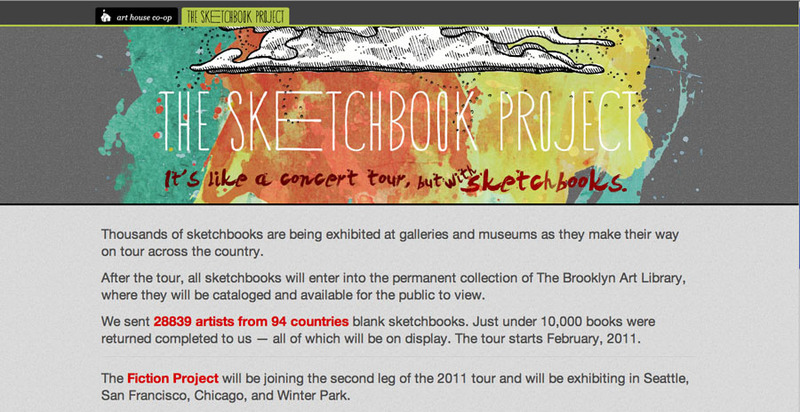 Be sure to look at other artists' sketchbooks for this project and most of all have fun. EXTRA CREDIT will be offered. Sketchbook Project Challenges -- The Sketchbook Project offers other Challenges, from free weekly creative prompts to medium-specific swaps and exchanges. Get some inspiration to create and check out some of their past and current projects below.